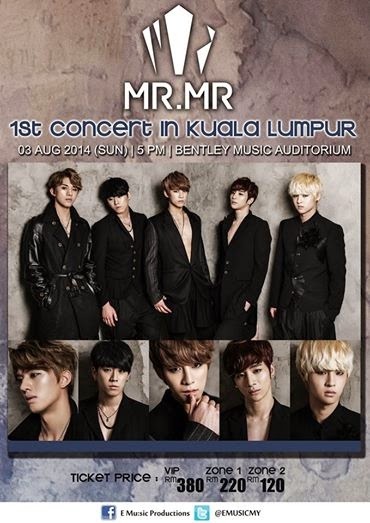 [Event] Boy Group: MR.MR Concert Live in Kuala Lumpur, Malaysia, 2014. Mr.Mr is a South Korean boy group who debuted in 2012 under the management of Winning Insight M .The group consists of Jin, ChangJae, Tey, DoYeon and Ryu. They have been performing actively in Korea & Japan. MR.MR is set to perform in Malaysia this August.